Can you think of other fun ways to use flamingo items? Have you come accross any unique items that I haven’t included here? Let me know what your ideas are in the comments! 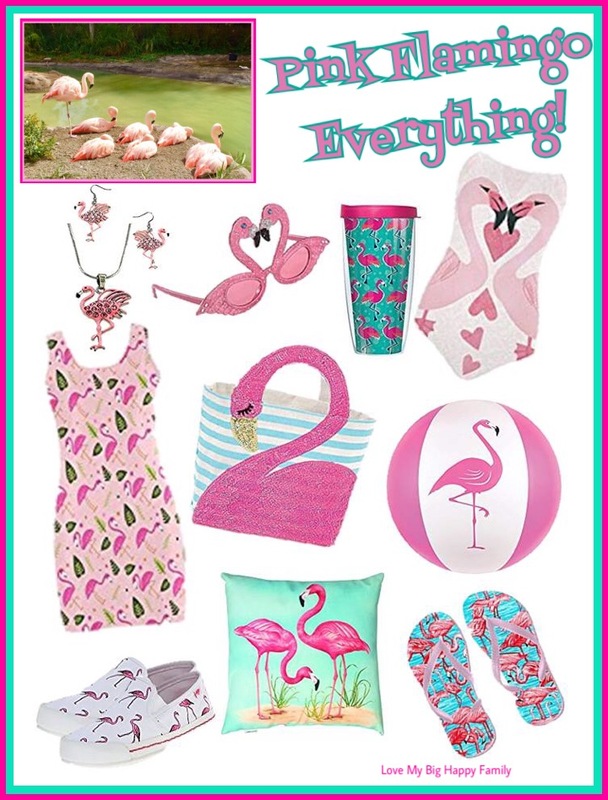 This was extra fun for me because my mother loved the pink flamingos so I thought of her while I was putting this post together! Another favorite of mom’s – Pineapples!! Pineapples are another popular icon of summer so don’t forget to go check out that fun post too!! You can find all of these products on Amazon. Just click on the photo or the descriptions above and you’ll be redirected there to make your purchases! You might also enjoy reading: 15 Fun Activities for a Sizzlin’ Summer and Pretty Summer Feet. Thank you Lori for linking up and co-hosting with me at the #BloggingGrandmothersLinkParty. I shared this post. It definitely is pink flamingo season. Thank you for co-hosting and sharing this post! What a very cute idea. I liked the cute little summer dress. I’m sure that would be a hit this time of year. Thank you for sharing this post #BloggingGrandmothersLinkParty. I love it! Don’t forget pink flamingo nail art! I haven’t tried it yet, but my nail gal featured some adorable ones on her Instagram page. Thanks for cohosting the #BloggingGrandmothersLinkParty. We have flamingoes throughout our garden. Thanks for the ideas! Pink Flamingos are the perfect symbol of summer. These are such cute items! Thank you for sharing and co-hosting at the #BloggingGrandmothersLinkParty! About to have a flamingo birthday party for my two daughters and six year old granddaughter. And a happy unbirthday for my year old granddaughter. Love all of these darling things. Pinning! Those are all such cute ideas. I especially love the shoes. I just bought a pair of flamingo flip flops. I need a pair of the loafers, too. Thanks Beverly! I especially like the shoes too!